IchorCoal has officially resumed Race 1 following the tragic fatal accident to crew member Andy Ashman on Saturday. The team departed Douro Marina in Porto, Portugal at 1120 local time and were seen off by Sir Robin, Justin Taylor and members of the Race Team along with Keith Ashman and other crew’s family members. 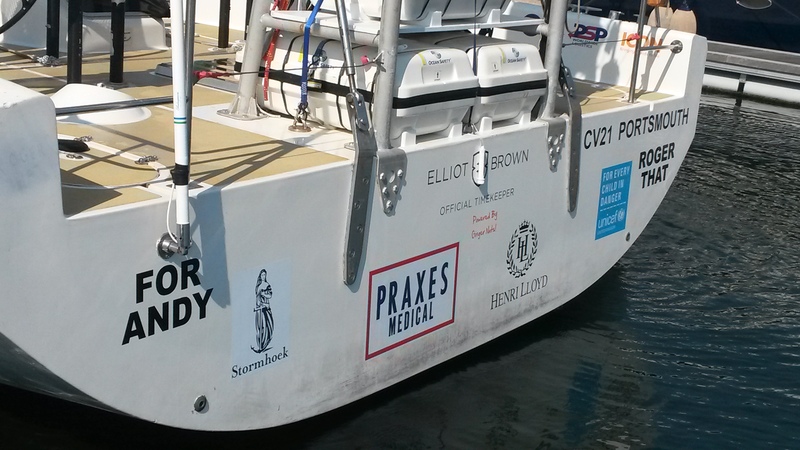 The move followed Skipper Darren Ladd and his team’s unanimous decision to keep racing, which had the full support of Andy’s brother Keith who has been with the crew in Porto for the last two days. As he prepared the team to slip its lines and bid farewell until Rio, Sir Robin said: “I’ve been incredibly impressed by the strength and positive determination of Skipper Darren and every member of his team. I think they have absolutely made the right decision to resume the race which is also by far the best way to honour Andy. This sentiment was echoed throughout the crew before setting off: “We are excited to go now,” added Darren. Click here to see the Race Viewer and follow IchorCoal and the rest of the race fleet in Race 1 to Rio de Janeiro, Brazil. Click here to watch the IchorCoal team and rest of the fleet pay tribute to Andy during Race 1.